We’d love your help. Let us know what’s wrong with this preview of We Rule the Night by Claire Eliza Bartlett. Seventeen-year-old Revna is a factory worker, manufacturing war machines for the Union of the North. When she’s caught using illegal magic, she fears being branded a traitor and imprisoned. Meanwhile, on the front lin Two girls use forbidden magic to fly and fight–for their country and for themselves–in this riveting debut that’s part Shadow and Bone, part Code Name Verity. To ask other readers questions about We Rule the Night, please sign up. I am over-the-moon intrigued by your book's description! And that title! What inspired you to write about women in the military, specifically pilots? Claire Bartlett Thank you for your question Lillian! And thank you for your compliment on the title, we agonized over it. In November 2014 I began hearing things…moreThank you for your question Lillian! And thank you for your compliment on the title, we agonized over it. In November 2014 I began hearing things about the Night Witches, a Night Bombing regiment composed entirely of women, created in Russia during WWII. These women flew outdated training planes over the front lines at night. They often bombed strategic targets, but sometimes they flew supplies and even soldiers to their own troops. Did you listen to music as you were drafting OUR REALM IS THE NIGHT? Did any particular track/artist/album inspire you? Claire Bartlett Thank you for your question! I loved listening to the sountrack for AGENT CARTER while I was drafting. I wanted something fun and a little dieselpunk.…moreThank you for your question! We Rule the Night completely caught me off guard with its immersive world and narrative of fierce women. I wasn’t sure how I’d react to the wartime fantasy setting, but I love how Bartlett used it to point out the flaws both in this world and our real world. This is a very understated book though, despite the action and adventure occurring. I honestly don’t think a lot of people will like it (the most common complaint will probably be “too slow”), but I really really enjoyed. This is one of those fantasies that are a bit more of a slowburn—like Rachel Hartman’s Tess of the Road. And I love that, although it’s not for everyone. However, it’s . . . Fantastic for fans of military/wartime fantasies—but centering around women! I think people who liked the concept of Joanna Hathaway’s Dark of the West will definitely like this (plane-like things! military! wartime!). Or if you thought Dark of the West was cool but didn’t feature enough women and female friendships (aka me) and want more of female interaction. Either of these would be indicative that you should definitely pick up We Rule the Night. Because not only is it a wartime fantasy with alliances and hierarchies and people fighting on live-metal machines (more on that later), but it also has that sort of more measured tone that a lot of fantasies take on. It’s severe, and I think people who like older-feeling fantasies will like this. It’s still got action elements to it, but it’s also got training and a lot of struggling to work together. It’s messy, in a good way. Huge bonus points for female friendships and the complexity of that! One of my favorite parts of We Rule the Night would probably be how the story examined Linné and Revna‘s hatred/friendship. Linné is prickly and hard to get along with and she definitely does not want to be in this female-only group of women fighting in the war, especially given her history of dressing up as a boy and serving in the military. However, this is the only way she can fight in the war, and she’ll have to stick with it if she wants to contribute. Revna, on the other hand, is just there to help her family and do what’s best for them. Both girls are part of the squadron, and both have to stay. But despite being paired to fly a living-metal plane together—one girl to fuel it with her spark, and the other to navigate the Weave—they struggle working together. I thought it was really nice to see this gradual friendship as the focus of the novel. 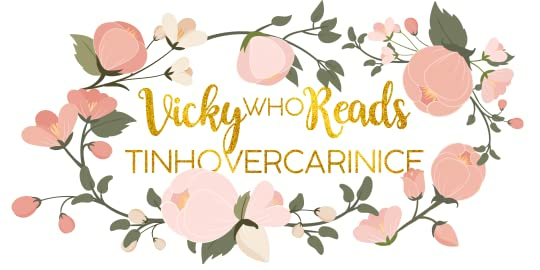 There’s no romance (I mean, I wasn’t going to oppose a queer romance but it’s not a romance book) and it’s all about Linné and Revna’s relationship, which I really enjoyed. I do want to note that Linné is one of the sources of where some of the disability-associated harassment comes from initially (Revna has living metal prosthetics below the knee on one leg, and ankle and below on the other), but she definitely isn’t doing that in the end of the book and learns better. However,if you think this might be triggering/not good to read for you, it’s probably a good idea to skip out on We Rule the Night. I personally can’t speak on how Bartlett portrayed Revna’s disability, and I would love to see an #OwnVoices review from an amputee using prosthetics, if someone has a review! There wasn’t anything glaringly harmful to me and the message did not seem problematic, but I also know that I have a lot of blind spots, and I can’t definitively say whether or not this was good rep. Interesting, metal magic and an industrial world with its own set of stigmas. The living-metal magic that I referenced a few times was really really cool! People have a sort of magic in them and there’s different types of magic, like using a spark (hot or cold) and the Weave. In their country, the Weave is banned for the way it can get tangled, however the military has allowed the girls’ squadron to use it for the purpose of flying their living-metal planes. The planes aren’t normal planes, they’ve got also living metal animal-shaped machinery and other mechanical stuff. Very industrial feeling. It’s very interesting, and Bartlett introduces it in a way that’s not info-dumpy, and more integrated, which I enjoyed. Plus, reading about this specific country’s issues with the Weave versus the country their fighting (who embrace it) added another interesting element to the story. The purpose of the war was a bit foggy to me. This is one of my biggest complaints, although I’m not sure how relevant it actually is. I don’t know what they’re fighting for. I know Linné and Revna’s country is at war with another, but I either missed when reading or it didn’t really say clearly what the war was caused by and why they were still fighting and if they were trying to negotiate peace. Some of the larger politics were a little bit blurry. The ending was kind of abrupt, and I felt like parts were unresolved. Also, it wraps up a bit quickly, and it feels like We Rule the Night has sequel potential, although it doesn’t really end on a cliffhanger. I just felt like a lot of the storyline besides the friendship (the war, certain side characters and families) was generally unresolved? I’m not sure if I’d recommend it to people who want every last detail resolved, because you don’t really get that. I would totally love if this book had a sequel, though *cough COUGH*. I can’t really say if either of the last two points are really necessary. Because ultimately, this is a book about female friendship and how it defies the patriarchy, and it’s not really focusing on a giant fantasy world’s politics. I think We Rule the Night is more of a friendship story among a fantasy backdrop, which a lot of people might not get based off of first glance. It’s about Linné and Revna. Not about the world or the war, it’s about them against the backdrop of the war. Overall, We Rule the Night is a book I really enjoyed, even though I don’t think it’s for everyone. two feuding girls attempt to survive a war, and also this cover is SHOCKINGLY beautiful. If you're looking forward a the-world-revolves-around-me protagonist who must save the world and yada yada, then you'll be disappointed. This is a slow burn book with a subtle climax. While the accomplishments our MCs make and the hardships they face might be great for them, they're miniscule on a world scale. In fact, they don't get any recognition for what they do. Still, that's not stopping them. They're realistic and strong and very different. They do what they can in their power, and I really appreciated to see characters fall into helpnessness they couldn't simply magic away. It's the dark reality, people. Now, that doesn't mean this book was dark all the time. There's some humor, a silly celebration, appreciation of friendship and feminity and life and its joys. This is the kind of book you'd want to read when you feel lonely. You survive with the characters, root for them, feel for them, and you feel like you've forever known them. I really liked both of the MCs, but Linné's perspective was the most interesting to read. She seemed like an awful person on the outside (everybody in the book hated her in the beginning), but being in her head, you know she only has good intentions. She simply doesn't know how to express them and ends up offending the other girls over and over again. This is explained, of course: Linné had spent years pretending to be a boy so she could serve her country. She was trained to follow orders and be the perfect soldier, and the women's regimen is not nearly as strict. This, as you'd expect, makes her skeptical. The lack of order grates on her, and so does the girls' 'girliness' and, in the begining, childishness. Over all, I mostly loved this book for the characters and the writing. As I understood from the author's bio, this her debut. Possibly? I'm still not sure, but I would never tell from the writing. It's quality and flows beautifully. The character's voices are distinct as well. I like the story but it can get really boring at times. I read this book in an afternoon, and when I finished, I was so conflicted with how I felt about the book. I wasn’t sure if just liked it or loved it. This was one of those books that I needed to digest what I read before I could even give it a rating. From start to finish, this story is chock full of non-stop action. The story opens with Revna and the other factory workers desperately trying to escape to the underground shelters as Tammin is under siege from enemy planes. The problem is that Re I read this book in an afternoon, and when I finished, I was so conflicted with how I felt about the book. I wasn’t sure if just liked it or loved it. This was one of those books that I needed to digest what I read before I could even give it a rating. From start to finish, this story is chock full of non-stop action. The story opens with Revna and the other factory workers desperately trying to escape to the underground shelters as Tammin is under siege from enemy planes. The problem is that Revna is in a wheelchair, and she must make a further trek than her coworkers since her family’s status as second-class citizens forbids them from entering the closer bomb shelters (the reason why is addressed). As time is running out, Revna decides to call on The Weave, magic that has been banned by the union, in order to save her own life and find her family. Unfortunately for her, a run in with a Union officer mid Weave jump betrays her secret magic use. Revna assumes that she will be thrown in prison alongside her father and labeled as traitor, but she is given a different opportunity instead. At this point, we switch gears and meet Linné who has been called in front of her superiors for impersonating a male in order to join the frontlines of war (Mulan anyone?). Linné comes from a well-known and respected military father who is under the impression that his daughter is doing well at her boarding school instead of fighting alongside her battalion on the frontlines. She is faced with the decision to either be sent back home to her father or to join a newly formed reigmen of women who will be trained to use The Weave to pilot war planes. Linné is one of the citizens who is adamantly against The Weave but signing up for this squad is the only way she will be able to fight for her country once again. Once Revna and Linné meet the other girls of their regimen, which is led by the famous Tamara Zima, they quickly learn what the military men really think of their team and mission. The men believe that Tamara is only leading this team and mission because her lover is a high ranking official, which is consistently brought up. To be fair, even the girls believe it at first as well. Immediately, Linné feels like she’s made a mistake and these girls are making mockery of what the military stands for. The girls want to alter their uniforms, wear their own fashionable shoes instead of the military grade boots issued to them, and refuse to be modest (Linné had to bind her breasts, shower when everyone was asleep, and hide her menstruation rags). This builds a HUGE rift between Linné and everyone else…especially Revna, who is the most gifted at controlling The Weave. This team had a long way to go if they were going to come together to help fight in the war, especially when all the men kept reminding them that they were not capable. I have to hand it to the author for creating a fantasy story, that aside from the actual magic, did not feel like fantasy. The blatant sexism that the girls face in this book pissed me off to absolutely no end. To make matters worse, Tamara has no sympathy on the girls because she herself is treated as an absolute joke by all of the commanding officers. The girls were purposefully given equipment that was expected to fail and never given the opportunity to succeed. I loved watching the girls’ band together against all odds; especially the extremely slow burn friendship that built between Revna and Linné. These girls would do whatever it takes to win the war, and they refuse to leave their own behind. I realized that I hadn’t even commented on much of the fantasy in the plot because I was so engrossed with the characters in this story. The magic is everything that I wanted in this remarkable debut. There are fire-breathing dragons that can decimate cities in seconds. The planes that the girls fly are comprised of living metal that adapts to the Weave user’s emotions. The fight scenes are incredibly descriptive and get your heart racing. Thank you to The NOVL for an advanced copy of this book. This did not influence my review. All opinions are my own. Fierce. Feminist. Fearless. I loved, loved, loved OUR REALM IS THE NIGHT. I want to BE a fighter pilot in this book. It recounts the tale of Revna, a traitor's daughter with prosthetic (living metal, omg) legs and Linee, the governor's daughter who dresses like a boy to get into the army. They couldn't be more different. Revna, afraid that she's a curse to her family, wants to keep her mother and sister safe, to provide for them because her father is gone, and Linee, closed off from her emotions Fierce. Feminist. Fearless. I loved, loved, loved OUR REALM IS THE NIGHT. I want to BE a fighter pilot in this book. It recounts the tale of Revna, a traitor's daughter with prosthetic (living metal, omg) legs and Linee, the governor's daughter who dresses like a boy to get into the army. They couldn't be more different. Revna, afraid that she's a curse to her family, wants to keep her mother and sister safe, to provide for them because her father is gone, and Linee, closed off from her emotions so she can protect her heart, wants to be loyal to the Union. When they're paired together as pilot and navigator, using the magic of the Weave to fly the haphazard planes given only to girls, they decide to own the skies anyway and fight for their place in history. The fight scenes were breathtaking. The fantasy was incredible. And more than once, the depth of these characters made me breathless with admiration for Bartlett's literary prowess. Oh, holy hell, this book. Never in my life did I think that I'd read a book so bleak, and so maddening, and love it so damn much. I don't know know what kind of magic Clarie Eliza Bartlett wove to create this story, but it worked. Oh, it worked. Strap yourself in for some rambling, my friends, because that's all I know how to do at this point. Look, I'm all for likable characters. It's nice when the MC is sweet, or snarky, or any manner of traits that are easy to connect with. Linne is not that c Oh, holy hell, this book. Never in my life did I think that I'd read a book so bleak, and so maddening, and love it so damn much. I don't know know what kind of magic Clarie Eliza Bartlett wove to create this story, but it worked. Oh, it worked. Strap yourself in for some rambling, my friends, because that's all I know how to do at this point. Look, I'm all for likable characters. It's nice when the MC is sweet, or snarky, or any manner of traits that are easy to connect with. Linne is not that character. Linne is difficult. She's not just rough around the edges, she's a solid block of stone. And yet, I fell in love with her all the same. Linne felt realistic to me, because she was a multi-faceted human being. Someone who looks so hard on the outside, but is really just trying to protect everything inside of her that she's afraid to let out. As the story progressed, I saw her cracks. I saw her flaws. I loved her more for it. Then there was Revna. The exact opposite of Linne in the beginning, but with her own imperfections. A woman who had constantly been told she wasn't enough, but managed to push through anyway. A woman buried under self doubt and shame, but being pressed into a diamond without noticing it. The love I felt for Revna was instantaneous, unlike with Linne, but Bartlett didn't let Revna stay in her shell for long. These two girls were like fire and ice when they met. Completely different, and yet linked together in ways that they couldn't see. This isn't a happy story. Sure, there are portions of it that are lighthearted. There are moments of light in the darkness. However, this is a story about war. It's about women who are willing to risk everything for the good of their country, even when the men around them take away every shred of their credit. I won't lie, I cried while I read this book. Linne and Revna, plus all of the other women in their division, go through hell and back during the course of this story. What I loved more than anything though was that it didn't take away their individual personalities. Sure, they grew and adapted. Just like in real life though, they were still always very much themselves. My hard, stony Linne and my sweet, unsure Revna. Battered, but not completely broken. I absolutely LOVE the magic system in this book. Living metal (it’s so cool! ), the Weave, hot and cold spark—they’re all parts of the same whole, which Claire does a fantastic job of working into the character’s daily lives. Everything about the world is wonderfully fleshed out, which is one of the many things I really liked about the book. After the great worldbuilding, I’d have to say my other favorite part was the characters. Revna is strong, brave, and determined. Linne is coarse and fierce I absolutely LOVE the magic system in this book. Living metal (it’s so cool! ), the Weave, hot and cold spark—they’re all parts of the same whole, which Claire does a fantastic job of working into the character’s daily lives. Everything about the world is wonderfully fleshed out, which is one of the many things I really liked about the book. After the great worldbuilding, I’d have to say my other favorite part was the characters. Revna is strong, brave, and determined. Linne is coarse and fierce in all the ways I absolutely love. They both grow in a lot of ways throughout the story, and Claire really keeps you rooting for them all the way through, while maintaining a fluctuating tension between all the characters that’s really well done. I’m loving all of the books coming out lately that are inspired by lesser known parts of history! 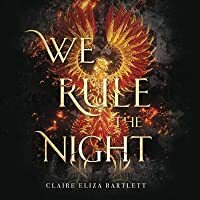 We Rule the Night by Claire Eliza Bartlett is a YA fantasy that was inspired by the women who flew for the Soviet Union’s 588th Night Bomber regiment. This one was a pretty quick read that was full of brave women and interesting magic. While I wish the magic system had been described a bit better, the concept was so fascinating. I particularly liked the living metal and how the connection between pi I’m loving all of the books coming out lately that are inspired by lesser known parts of history! We Rule the Night by Claire Eliza Bartlett is a YA fantasy that was inspired by the women who flew for the Soviet Union’s 588th Night Bomber regiment. This one was a pretty quick read that was full of brave women and interesting magic. While I wish the magic system had been described a bit better, the concept was so fascinating. I particularly liked the living metal and how the connection between pilot and ship was formed. I also loved both of the main characters, they were so distinct and vibrant. Linné really grew throughout the story, her character development was great. And Revna was so determined, strong, and resilient. Plus the disability rep! I also liked how complex the friendship between them was and how it developed over time. Two girls from entirely different backgrounds, with entirely different motives, and entirely different personalities must fly a plane together. While on the surface this is a story about two girls who hate each other but are forced to work together, just beneath that surface you'll find another story: one about girls working together, girls in all their many shapes & flavors & sizes being strong as only they can be; one about earned trust, blind faith, and exp Two girls from entirely different backgrounds, with entirely different motives, and entirely different personalities must fly a plane together. While on the surface this is a story about two girls who hate each other but are forced to work together, just beneath that surface you'll find another story: one about girls working together, girls in all their many shapes & flavors & sizes being strong as only they can be; one about earned trust, blind faith, and expedient lies; one about hard choices and harder compromises; and one about family, both lost and found. The writing was exquisite, the world fully fleshed and bitingly cold, and every character felt like they meant something to someone. Like they had a life beyond the pages. Plus, I mean you've got living! metal! airplanes!! that react to emotion and have their own wants and desires, a really nifty & original magic system, shape shifters, real & complex emotions, and a proper bar brawl. There were so many things that I loved about this book. I HATE that I can’t share all my thoughts because then I’d give too much away and I definitely don’t want to spoil this book for you. This book wrecked me. I was distressed and had so many emotions and I was not prepared, especially for that ending. I really hope that a second book comes from this because I need more of this story. We Rule the Night releases April 2, 2019. This is one that I HIGHLY recommend. It’s got magic, war, intrigue, There were so many things that I loved about this book. I HATE that I can’t share all my thoughts because then I’d give too much away and I definitely don’t want to spoil this book for you. This book wrecked me. I was distressed and had so many emotions and I was not prepared, especially for that ending. I really hope that a second book comes from this because I need more of this story. I'm sure many people will love this book for the magical elements, but for me, it was the realistic elements that absolutely hooked me. I loved the strong female leads, their messy friendship, and the details of life in a male-dominated military. Plot-wise, the story is fast-paced and full of action. Fans of YA fantasy will surely love this, and it should also appeal to fans of YA historicals like Gwen Katz' AMONG THE RED STARS (about the Night Witches in WWII). This one's tough. I think the premise is strong and interesting - living metal that reacts to the emotions and spirits of those who use it. But I found a lot of the flying formations/happenings hard to imagine and the whole middle bit of the book is extremely slow. More could have been done with the Skarov secret information agents too. Overall the book had strong characters but kind of a weak plot. When I jumped into this book, I was a little put off at first. The beginning seemed a little slow but that was because the author was setting the world up, introducing us to the characters...setting the stage so to speak. The story quickly picks up though and for sure does not disappoint. And what a story it is, complete with incredibly strong female characters. Despite the blatant sexism and struggles they face, they stand tall and do what they must. I love that sexism is shown here in this book but it isn't a small subplot, it becomes something the characters must overcome time and time again. Something that was very real in that time period and the author did a wonderful job showing that. One manifestation of this was when Linne was told women are a distraction to men and that is why they are not permitted to serve on the front lines, men need to concentrate and they can't do that with women around. This is an excuse we still hear today regarding school dress codes. Women, or girls, are not permitted to wear short shorts, spaghetti strap tank tops, anything showing too much cleavage, etc. All of this is because they feel it is too distracting to the male students and school is a place to focus on learning. Anyway...not only is sexism a huge theme here but disabilities are as well. Revna has prosthetic legs and she shows, time and time again, that she is not defined by her disability. I really love that this book covers two huge topics but entwines them in an engaging and enjoyable tale.I will say that I was expecting more magic in this story but it simply wasn't there. Instead, we are given a war-time story where the machines aren't tanks but living metal machines powered by magic. The concept of living metal is something I've never encountered or thought about before but it is fantastic. I'd love to say more but I don't want to give away too much so you just have to read this story for yourself. The writing style was fun and I enjoyed the dual POV. We get to see the story from the perspectives of Revna and Linne. I really loved both of these characters, one more than the other at times. All of the names in this book sound Russian which makes sense since the story is based on Soviet women that flew outdated planes to the front lines of combat, bombing German forces. These women were known as the Night Witches because they would fly in during the cover of darkness and bombard enemy troops, the same way Linne, Revna, and the rest of their female companions did. Linne: Linne, she is incredibly strong, the perfect soldier. She follows her orders...well most of the time...and takes her place as a leader. She tries to help her fellow female soldiers despite their hatred of her. She only wants what is best for them, almost mom-like. We see from her internal thoughts that she wants to be known for being herself, not her father's daughter. She wants to aid in the war as anyone else. She is closed off and her sole purpose is to be a good soldier, she doesn't feel she connects with the other well. Revna: Revna...sweet Revna, she is the polar opposite of Linne. I love how she is strong in a different way. She never lets her prosthetics become her identity. She would rather walk than use a wheelchair but some forced her to sit in one regularly. She doesn't accept the help of others with basic things that she can manage. Revna hates when people assume she is not capable of something and I love that about her because it is so true. She is the only one in their regime willing to give Linne a chance, despite her foul attitude. Tannov: I liked him initially but that relationship quickly soured. He does anything he is ordered too and is not above sexism himself. He just leaves a bad taste in my mouth, I'm not fond of him. I really loved Revna and Linne, they might be polar opposites but they are both strong in their own way, overcoming odds even men never have. They come from different backgrounds but find they face many of the same challenges and the biggest one being proving themselves time and time again to the men above their station. The world here is beautiful but war-torn. The imagery was well written, giving enough information without going into unnecessary details. I could visualize the mountain as Revna and Linne climbed it, I could smell the smoke of the burning towns. The author brings us back in time to a period of war and sadness but gives us just a little bit of magic and a lot of perseverance. We Rule The Night started off a bit slow for me, but the story really picked up. I expected a bit more magic and less war training, but it was so good. Revna works in a factory. Her father was arrested for making her prosthetic legs. It was considered treason to take leftover metal. The Union had a lot of rules and one of the main ones was that using magic was illegal. Revna used the weave and was caught one day. Instead of being arrested, she was brought to be a flier in a new part of The We Rule The Night started off a bit slow for me, but the story really picked up. I expected a bit more magic and less war training, but it was so good. Revna works in a factory. Her father was arrested for making her prosthetic legs. It was considered treason to take leftover metal. The Union had a lot of rules and one of the main ones was that using magic was illegal. Revna used the weave and was caught one day. Instead of being arrested, she was brought to be a flier in a new part of The Union that is all women. Linne's father is a Union general. She pretended to be a boy to fight in their war. She was finally caught and was also sent to the new group to train. In this unit, magic is allowed. It's actually needed. These girls are going to fly new planes. They need three people for each plane. Linne uses spark to help the planes run. Revna uses the weave to fly the plane. And then there is an engineer that gets everything set up. Linne is a rule follower. She doesn't have fun or have friends. No one wants to pair up with her. Revna is well liked, but her legs cause concern with some of the girls. So Linne and Revna are paired up with Magdalena. The girls argue a lot, but their team works. They do start to question some of their orders, especially ones they know should be wrong. Two soldiers Linne was friends with, Tannov and Dostorov, become Skarov. They get information and try to find anyone that is committing treason. In the Union, you can't lie. But when things don't go as planned, Linne is asked to go against everything she believes and tell a big lie to save the only girl who she can consider a friend. What I loved most about this book is that it was about strong females and their relationships. There wasn't romance. These girls busted their butts every day to be taken as seriously as the men. As you can imagine, that doesn't happen. I loved their spirit and how they never gave up no matter what. Thank you to Meg for sending me this arc. I really liked it and gave it 4 stars. I am very much looking forward to the next one. This novel was very different than I expected, and had a much stronger feminism representation than I thought it would - BUT that aspect was written very well. Female empowerment was a strong element of the story, and both Linne and Revna are strong believers in this notion. As their all-female military unit prepares to fly in the war for the first time, betrayal, secrets, and conflict occur, but nothing will stop these ladies from doing their part. I liked the variety of characters that readers got to know, the differing perspectives were engaging. Revna is determined to prove herself worthy of being in the unit - especially to keep her family safe, while Linne wants to demonstrate that she can be more than just a pretty face in society. The arguments and lies are bold, but the tentative friendship is worth it. This was not the book that I thought it was going to be. I was expecting a hate to love story with two girls and them coming together to be badasses. What I got was a whole bunch of girls going through military training and being catty towards each other. All they did was argue and talk about each other behind their backs. But don't worry the men were just as bad. I don't think that there was a single guy in this book that did say something horrible about women or just straight up hate them. I d This was not the book that I thought it was going to be. I was expecting a hate to love story with two girls and them coming together to be badasses. What I got was a whole bunch of girls going through military training and being catty towards each other. All they did was argue and talk about each other behind their backs. But don't worry the men were just as bad. I don't think that there was a single guy in this book that did say something horrible about women or just straight up hate them. I can't lie, I was first drawn to We Rule the Night because of the absolute stunning cover with this fiery bird - reminiscent of what some of the girls call their planes. But what ended up keeping my attention was the friendships between the girls and the characters themselves. Told from both Revna and Linné's point of views, we are able to really dive into their thoughts - experience their nightmares, doubts, and fears. 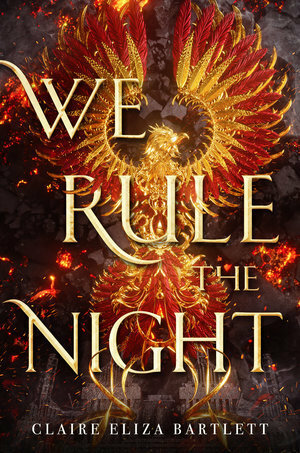 (I can't speak to the disabled rep, because I'm not an ownvoices reviewer f I can't lie, I was first drawn to We Rule the Night because of the absolute stunning cover with this fiery bird - reminiscent of what some of the girls call their planes. But what ended up keeping my attention was the friendships between the girls and the characters themselves. Told from both Revna and Linné's point of views, we are able to really dive into their thoughts - experience their nightmares, doubts, and fears. (I can't speak to the disabled rep, because I'm not an ownvoices reviewer for that aspect. Revna lost her foot and part of her leg in a car accident and throughout the book she has prosthetics and uses a wheelchair in certain situations). I struggled with this one. It took me a long time to get through it because there was so much information but not enough at the same time. I had high hopes but was disappointed. Thank you to The Novl and Little Brown for the arc!! I’m sure others will enjoy this one immensely, it just wasn’t for me. This was more of a 3.5 rating. It took me awhile to get into and understand the world of this book. I initially thought it was more of a straightforward WWII Soviet night witch flyers with an overlay of magic. Instead, Countries were made up but based on Soviets and Germans (the Elda), and interrogation and traitor practices seemed aligned. But it wasn’t just manipulation of magic, there were types of magic one can use manipulating the Weave, strands of magic cross crossing the world. Spark magic This was more of a 3.5 rating. It took me awhile to get into and understand the world of this book. I initially thought it was more of a straightforward WWII Soviet night witch flyers with an overlay of magic. Instead, Countries were made up but based on Soviets and Germans (the Elda), and interrogation and traitor practices seemed aligned. But it wasn’t just manipulation of magic, there were types of magic one can use manipulating the Weave, strands of magic cross crossing the world. Spark magic is metal imbued with Weave magic and metal is alive/has intentions. As in the planes require a pilot to hook in, a navigator that gets a needle in the arm sucking their Spark magic out of them to life the plane. The comps on the arc are unexpectedly accurate (Code Name Verity meets the Grishaverse), and it’s really good. And no romance! I read it one day!!! Two strong, but very different female protagonists trying to survive a militaristic world at war. Both are sympathetic and both struggle with what in means to be loyal to the fellow female pilots but also to the Union. Unique, thought-provoking, with a fabulous flare of feminism and female empowerment. I’m eager to get my hands on the sequel. "...use their magic in a special women's military flight unit and undertake terrifying, deadly missions under cover of darkness." We Rule the Night is a great story about friendship, the brutalities of war and discrimination. The narratives in We Rule the Night are very interesting. At first I felt that both Revna and Linne were pretty equal but then it seemed like Linne took over. I felt like she was crowding out Revna’s voice until Revna started to have more faith in herself and it felt like she got louder. The story is two very different girls, from very different backgrounds and difficulties finding themselves in the s We Rule the Night is a great story about friendship, the brutalities of war and discrimination. The narratives in We Rule the Night are very interesting. At first I felt that both Revna and Linne were pretty equal but then it seemed like Linne took over. I felt like she was crowding out Revna’s voice until Revna started to have more faith in herself and it felt like she got louder. The story is two very different girls, from very different backgrounds and difficulties finding themselves in the same place at the same time. Revna has such a strong spirit. It comes through in her love for her family and her need to prove that having a disability is not something that holds her back. Losing her legs in an accident she now has prosthetics made out of something called living metal. It’s a material that has a mind of it’s own. I kind of thought of it as being like an animal. It feeds off your emotions, if you want it to work for you you have to treat it nicely. It reacts to anger, fear and calmness. She has also controls a type of magic called the weave. Where she can pull the threads of the fabric of life to distort things around her. Not in a illusion way but in order to move objects. Linne is the daughter of a high up military official. She does not want to be a perfect lady as he expects her to be. She disguises herself as a boy and manages to serve in the military for three years before getting caught. That is when she is transferred to the female night flying unit. So she has trouble interacting with the other girls because she is so used to making herself seem brash and unfeeling in order to be unnoticed by the men. She is blessed with the talent of the Spark which works like a flame. It is what is used to power an aircraft, where the weave is what is used to move them. I loved Magdalena and I think at first Revna is very leary of her friendship. She kept feeling like she might only be friends with her because of her disability and pity her. You can tell how much Magdalena respects Revna’s abilities as a pilot and how strong she truly is. I love the fierceness that Magdalena defends her friend. Plus she is just a spunky character herself and a clever engineer. There are so many things to make you mad in the story. The mistreatment of the unit is definitely a top one but even more so the treatment of women. They are treated much like they have been in early American wars, meant to keep the homefront together or be nurses. They don’t want the women on the front line. Tamara’s unit has to fight to earn their respect that other soldiers just have automatically. Not only are they fighting a war against the Elda but a war against their own country in order to be allowed to defend it. Seems crazy. Linne and Revna come from very different backgrounds. Each are judge by their fathers, even though they have no control over their actions. It was so frustrating to see the way they were each treated and it shaped their defensive personalities. Revna is for sure the more level headed of the two but even she had her own prejudices against Linne. The two girls have to find a way to work as a team and they struggle through the story, until they are caught in a situation where they have to rely on one another or they won’t make it out alive. This is where I think you see their true characters. I loved how they went to from enemies to two people who realize that they can trust one another and can work together. They build a stronger friendship out of it. The ending was kind of interesting. It was kind of like you were in the final act and the curtain just closes. I can’t really decide how I feel about it. It felt a little like some things were not resolved but you can also fill in the rest with your mind. I just have mixed feelings. Claire Bartlett lives in an enchanted forest apartment in Copenhagen with too many board games and too few cats. Get more detailed information, like how many board games is too many, how many cats is too few, and what book-related beauties I'm working on by signing up for my newsletter.